The lovely Prenez clutch is versatile and sleek. 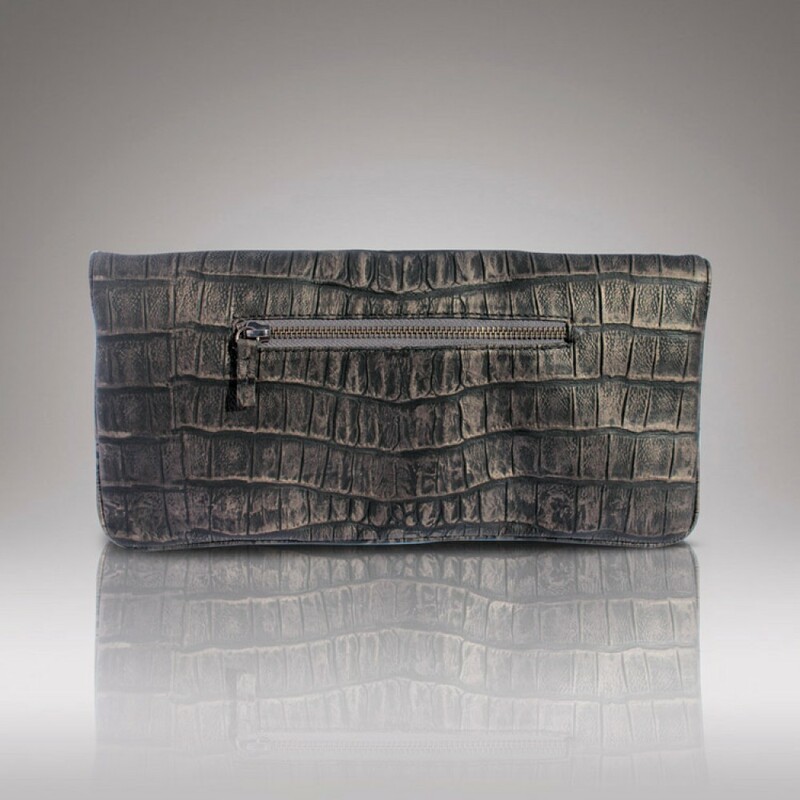 Crafted in graphite croco effect cowhide leather, with top-zipped and buckle closure, this hand carry clutch features a practical interior. 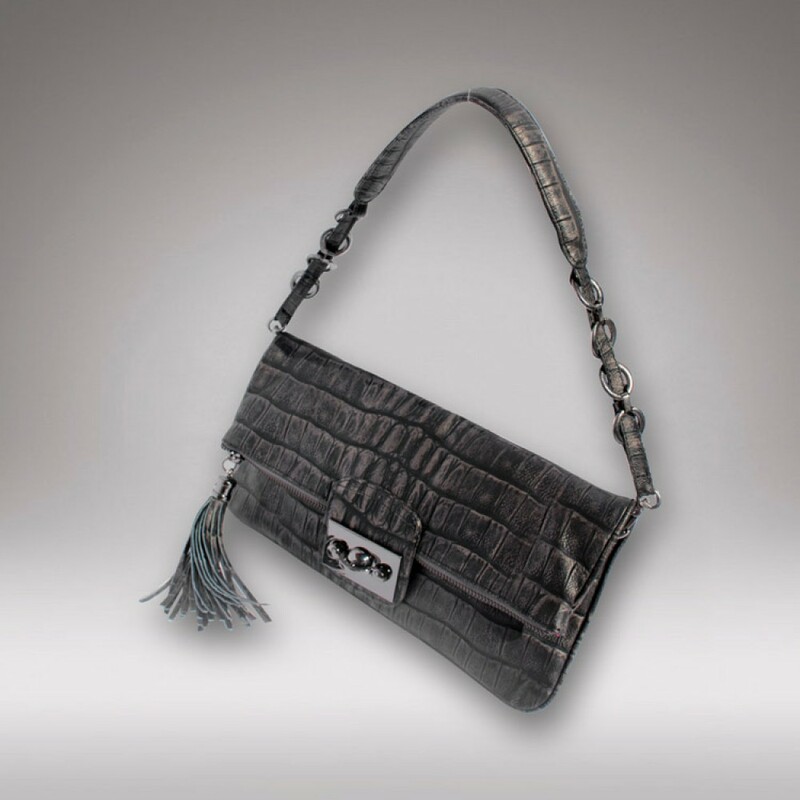 The removable strap provides you a convenient alternative to take your Prenez over your shoulder. 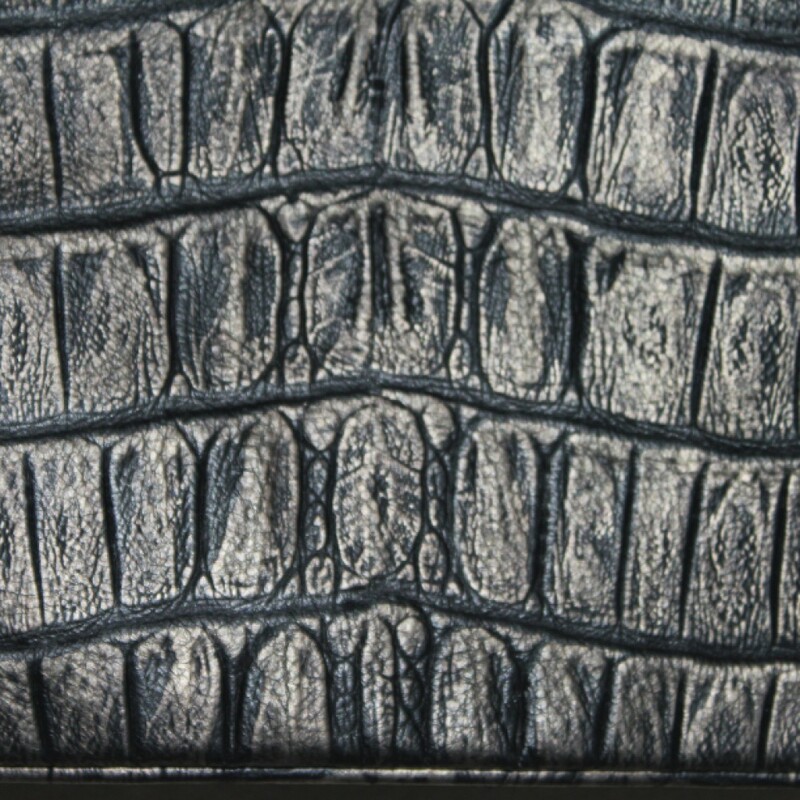 Inches: 6.29" x 11.81" x 1.97"
HC Croco Patent Leather is sturdy to touch and it is a sign of luxury. 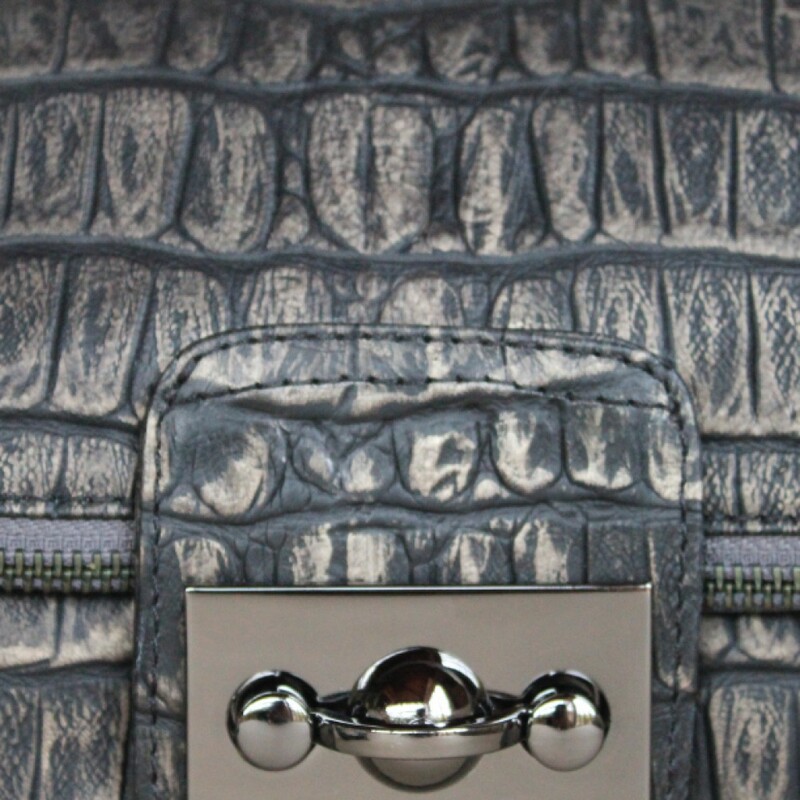 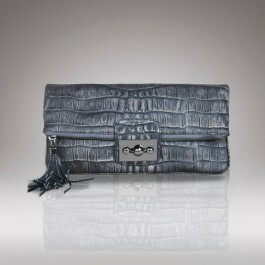 It features an exotic embossed crocodile patent on the cowhide, acknowledged for its high-impression.